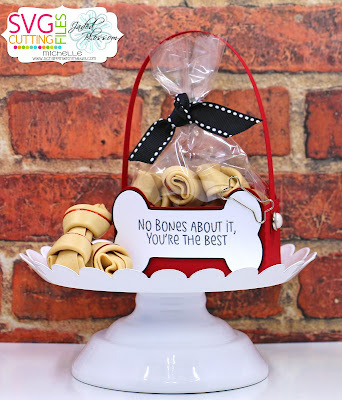 I created a fun gift and treat bag ! 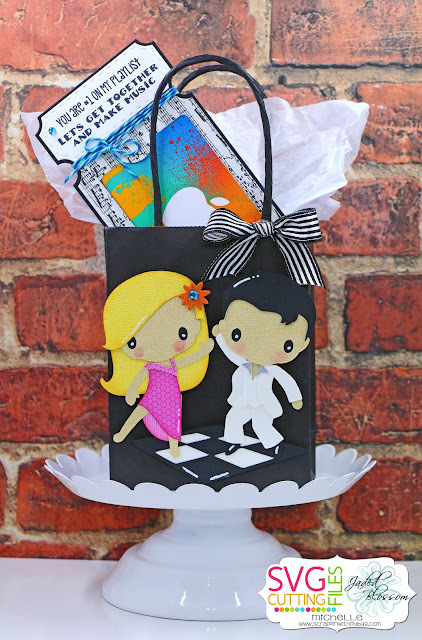 For the Bag I used the file Dance Fever from SVG Cutting Files. 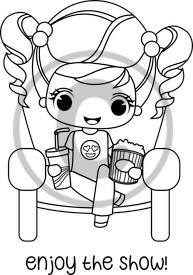 Next up is GIGI !!! 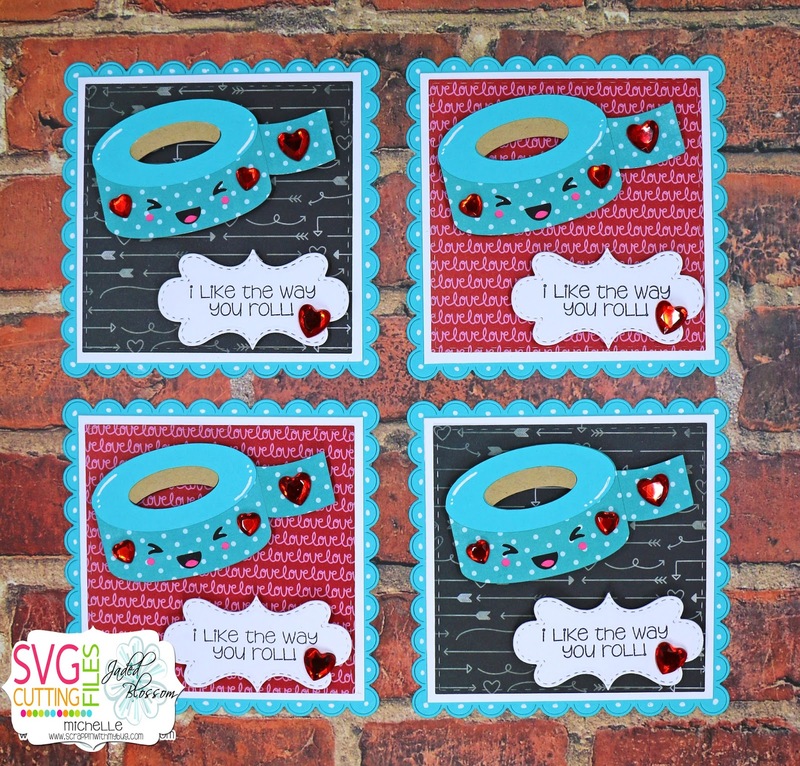 Hi Its my day over at SVG Cutting Files !! 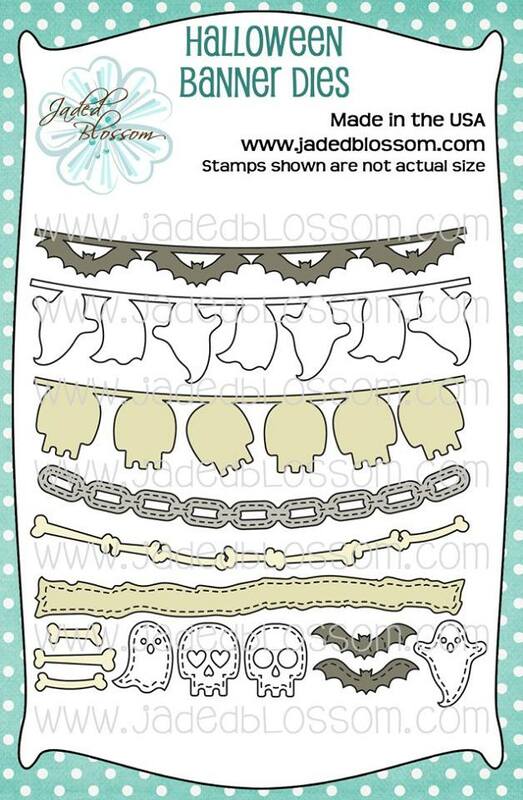 Here is the CUTE new set being released this Friday !!! 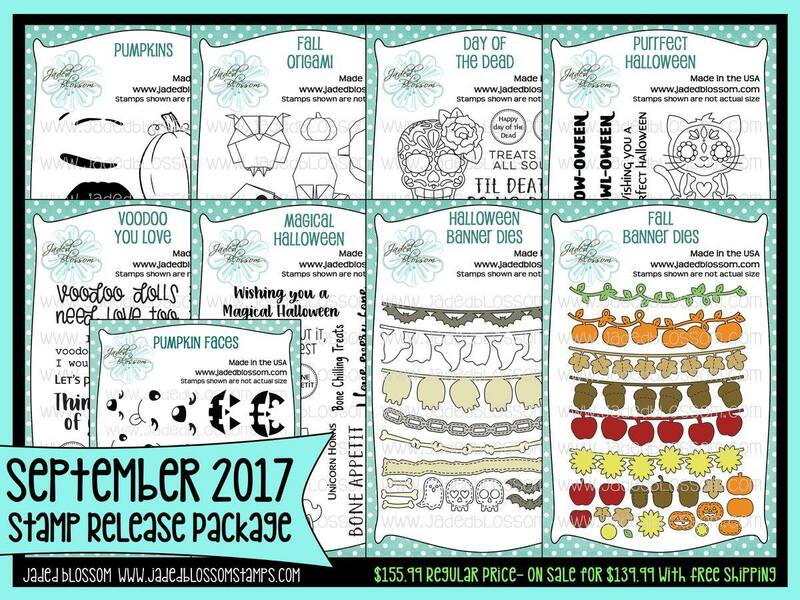 Jaded Blossom Release & Hop ! 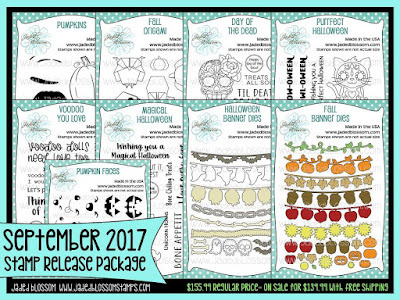 September 2017 Release Blog Hop. 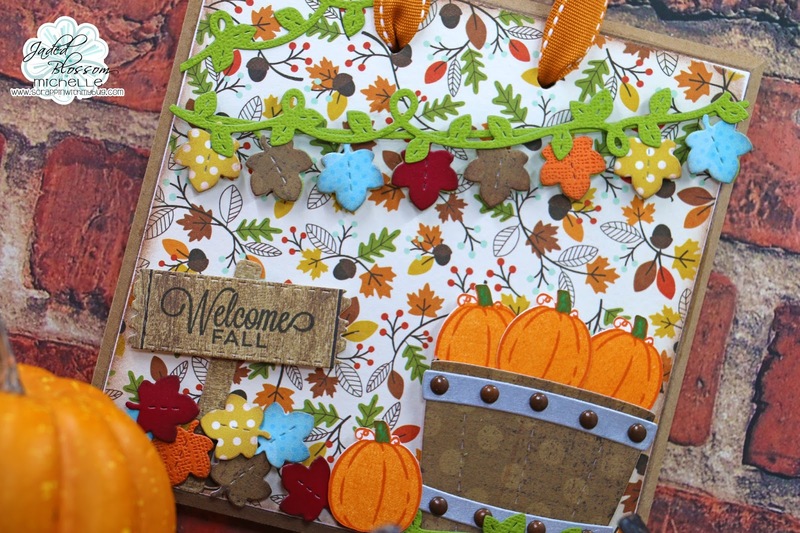 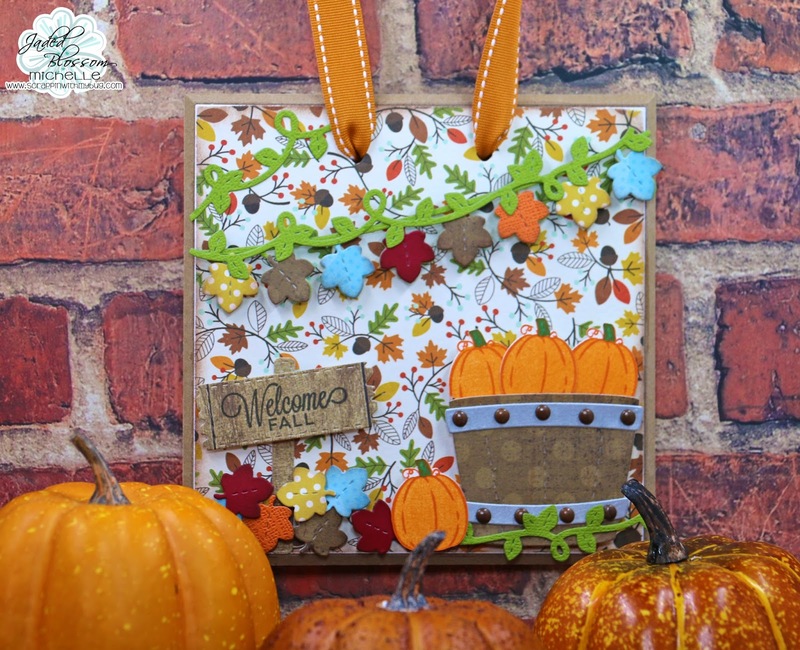 I made a fall wall hanging using a board I bought at craft warehouse! 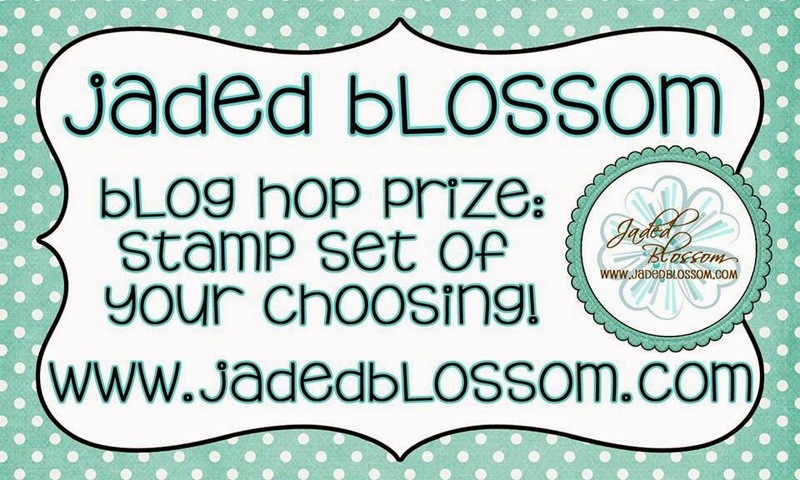 This is the LAST stop on the hop feel free to shop the Jaded Blossom Store !!! 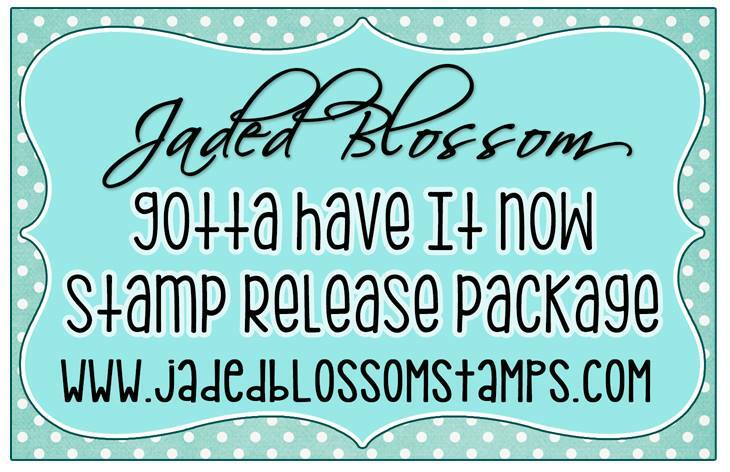 The last day of the Jaded Blossom Release before the hop tonight at 4 pm PST !! 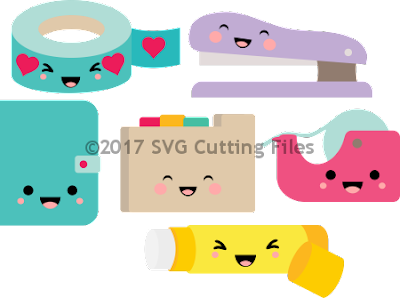 Just a recap of all my projects this week ! I saw these skull tealights at the dollar tree and thought they were spooky cute! 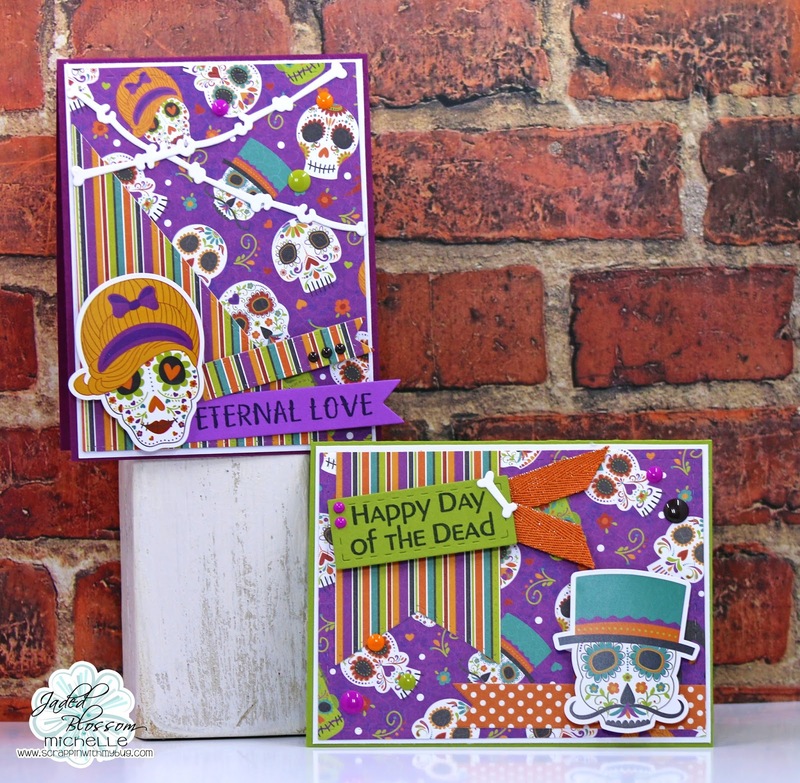 Here is the set we are showcasing today ! 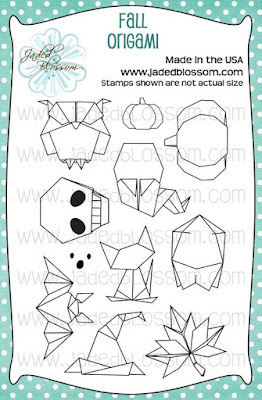 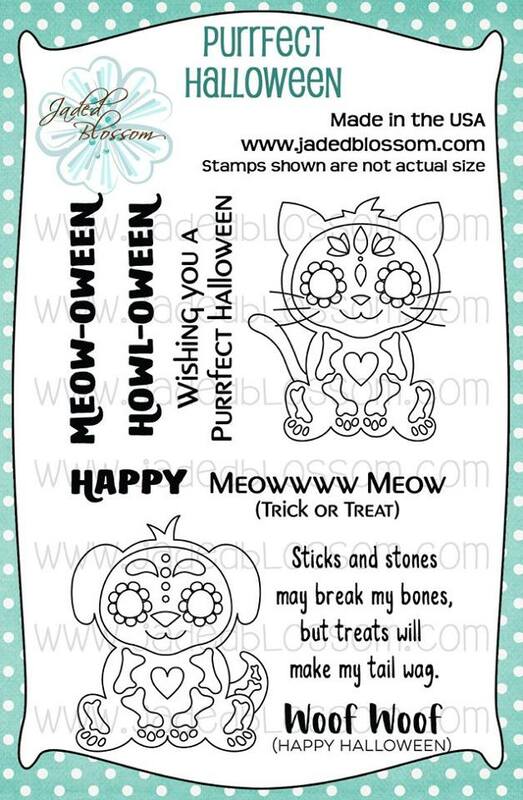 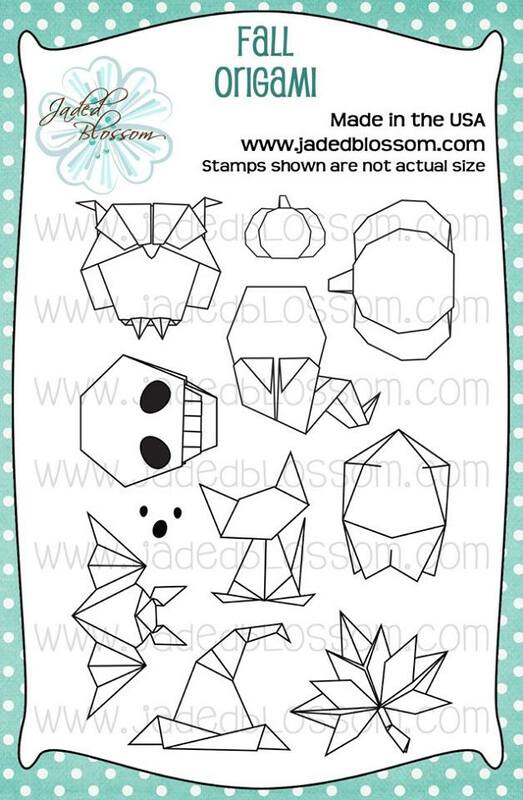 Also the FREE die see Jaded Blossom blog for details! 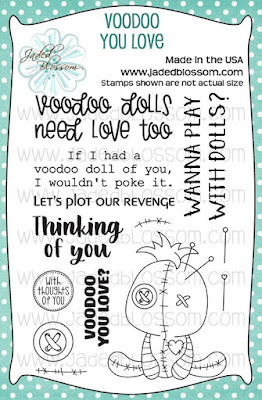 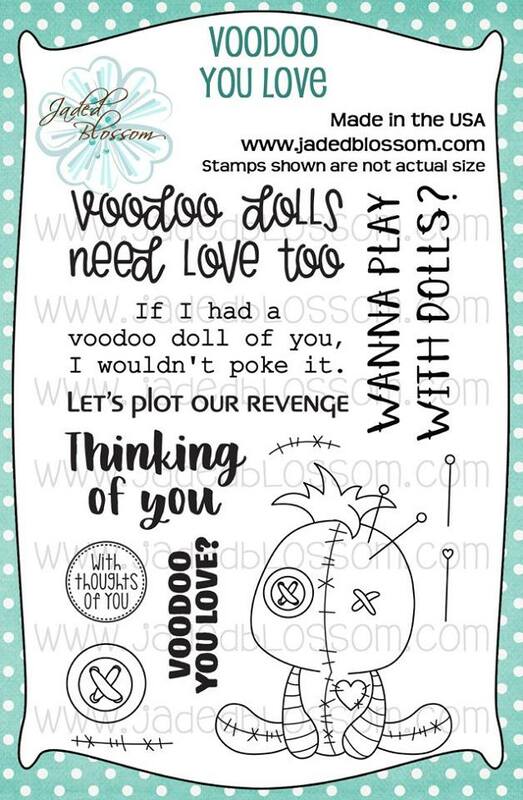 I love this new Voodoo doll it is so stinkin cute !!! 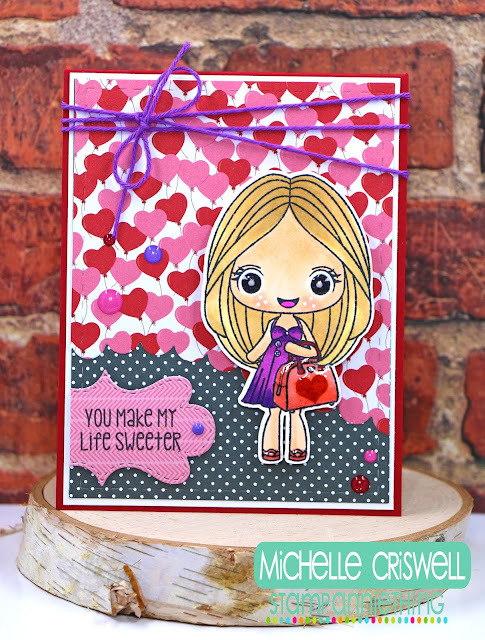 Here is the Super cute set being featured today !!! 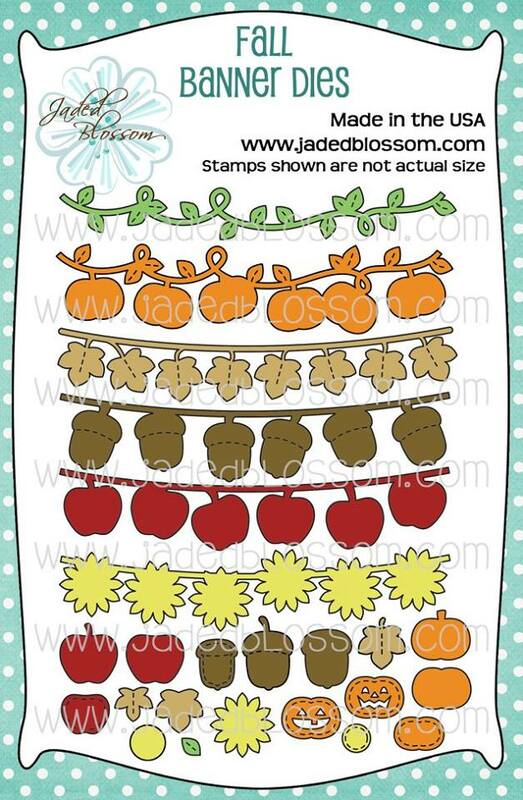 Its Day 3 of the Jaded Blossom Release !!! 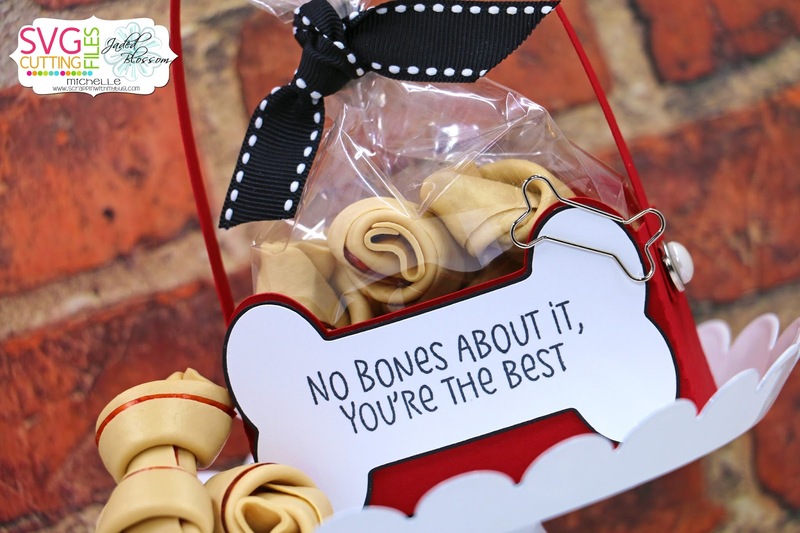 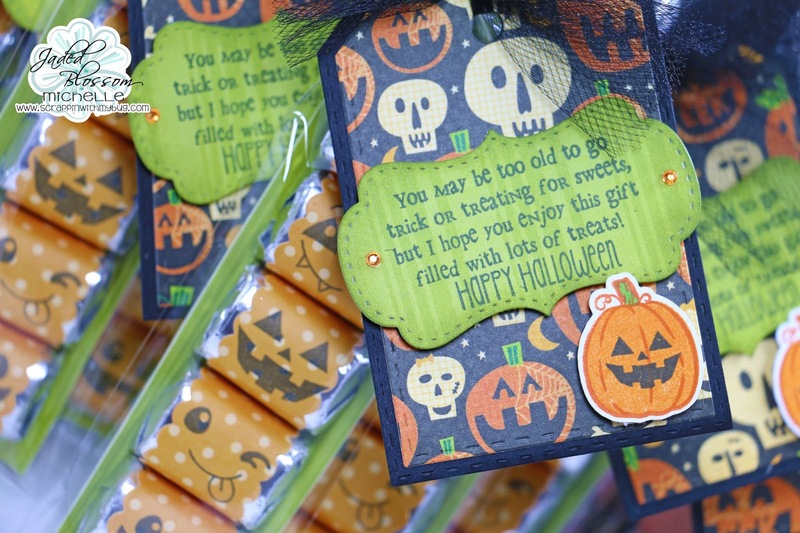 How about a treat for your favorite pooch ? 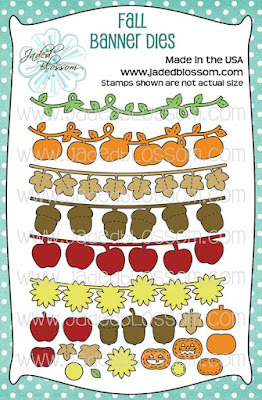 Today its Day 2 of the Jaded Blossom Release ! 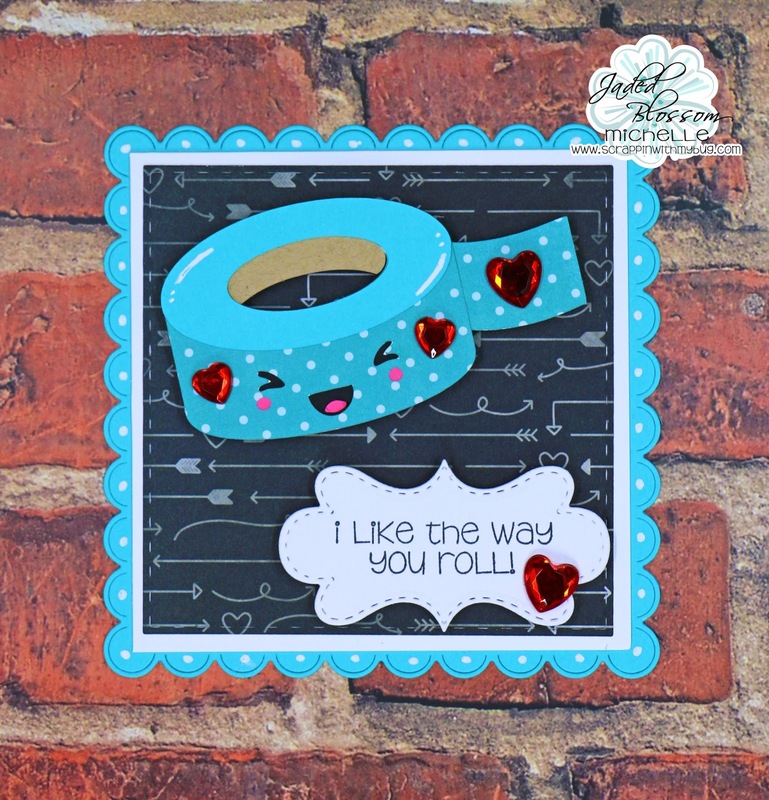 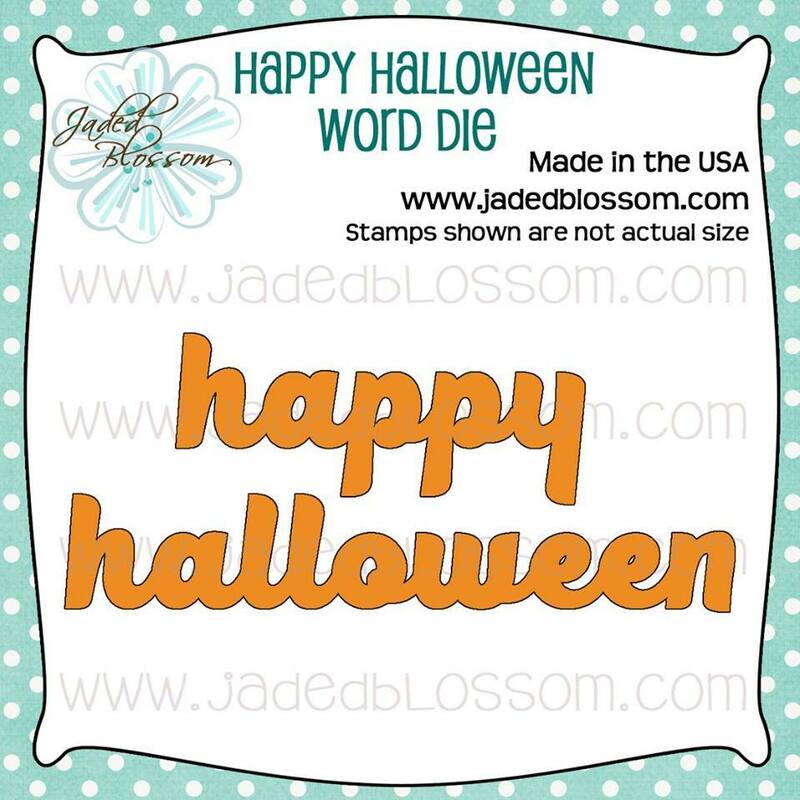 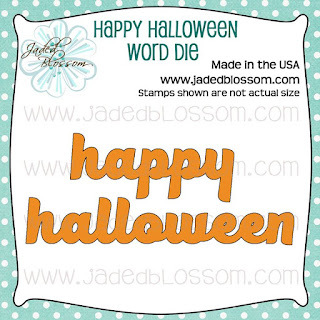 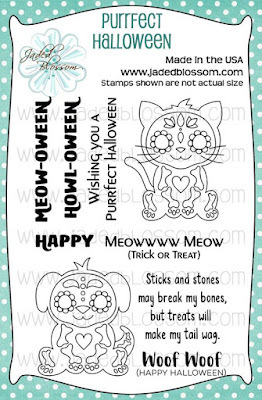 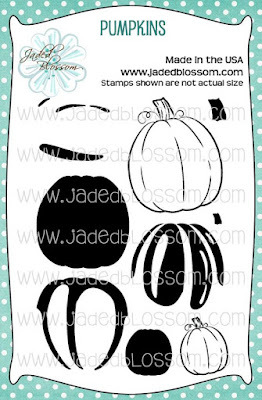 I saw this NEW cute paper from PhotoPlay and knew it would be perfect with this NEW Jaded Blossom stamp set ! 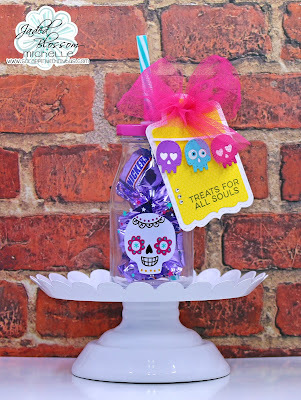 I also found this CUTE bottle in the dollar spot at Target ! 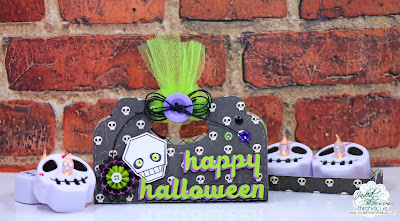 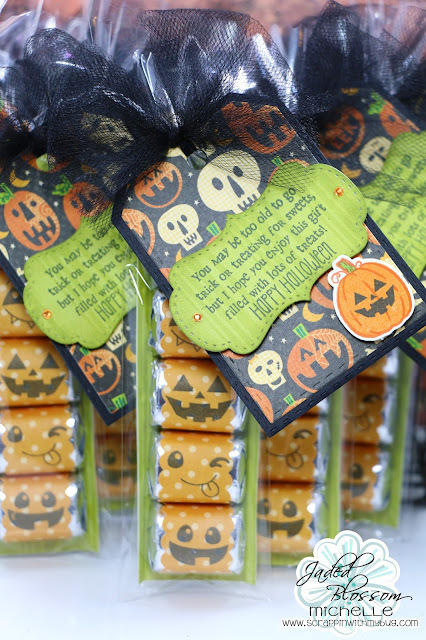 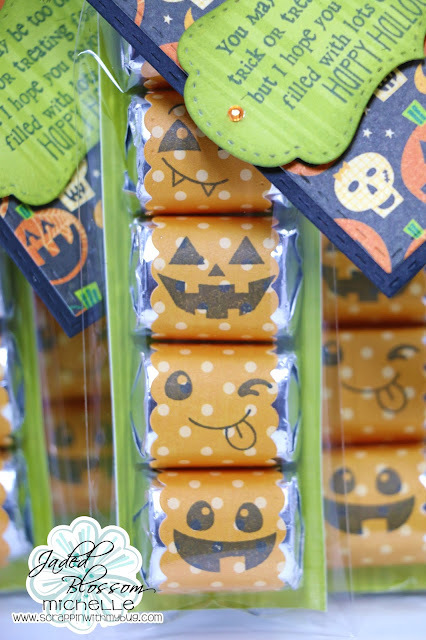 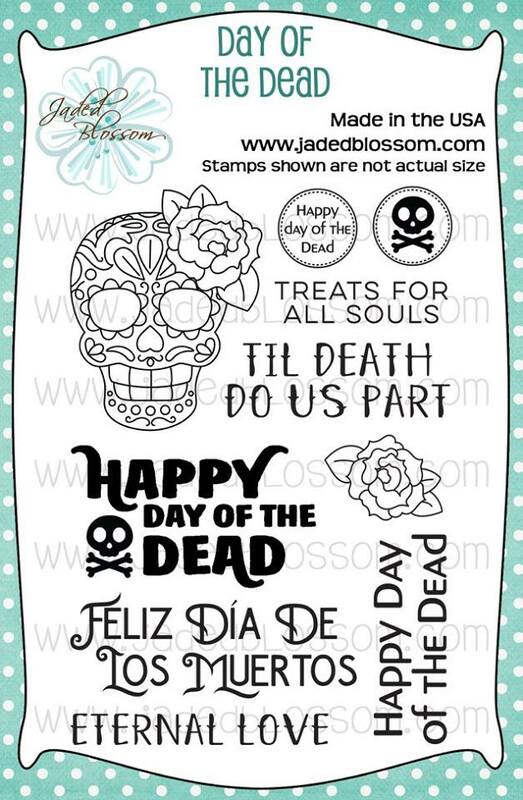 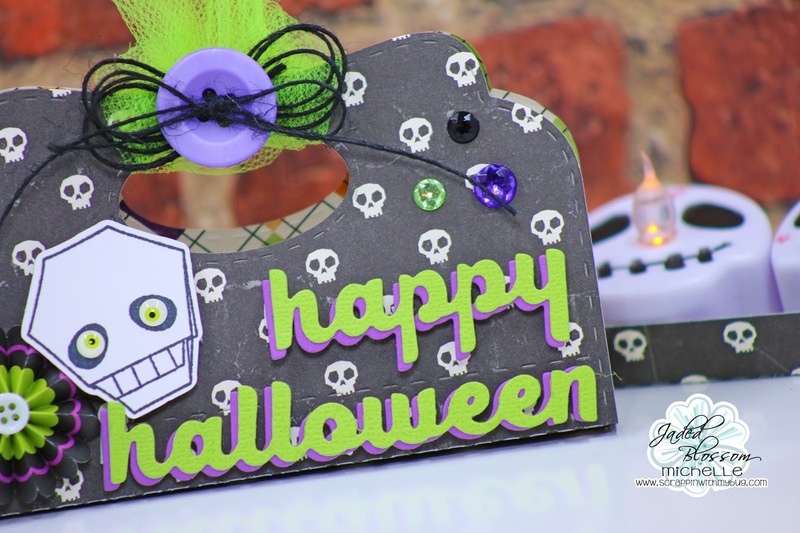 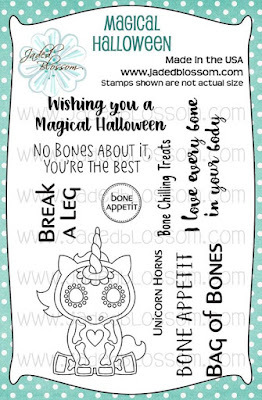 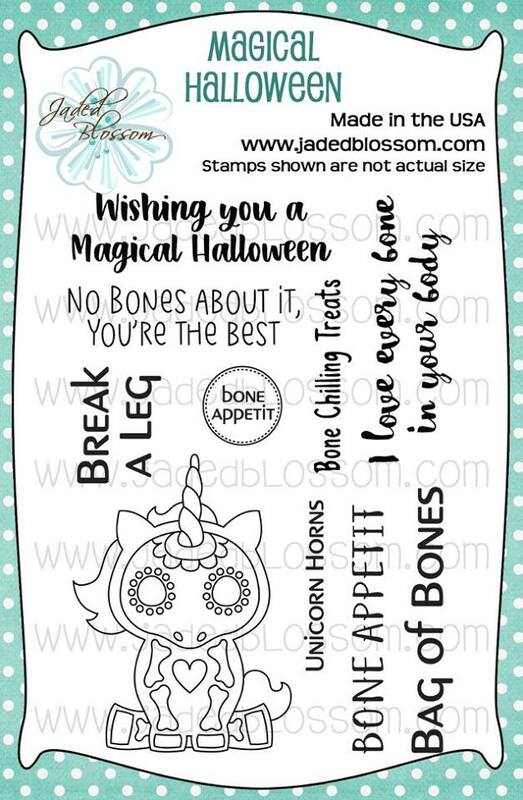 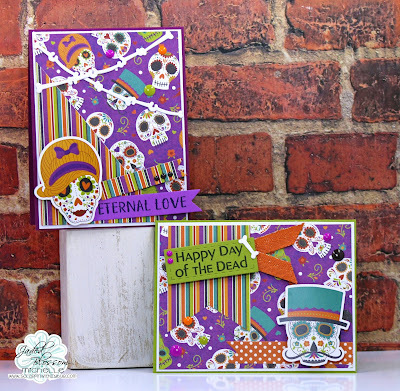 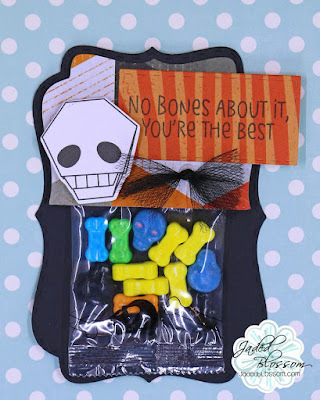 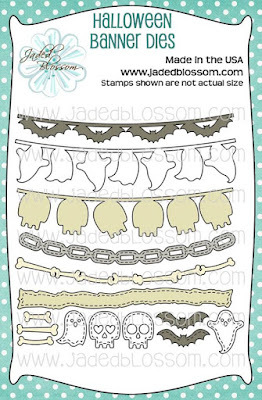 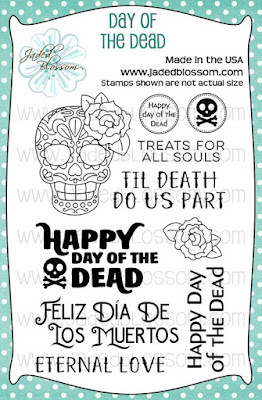 Those cute spooky eyes on the skull are from Doodlebug ! 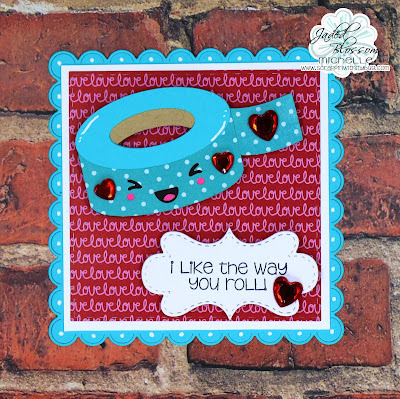 Here is the NEW die and stamp being showcased today !! 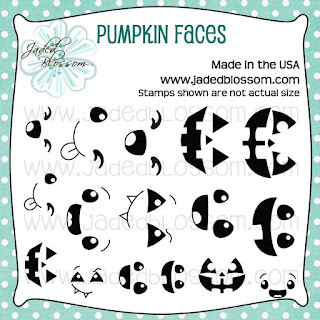 Jaded Blossom Release Day 1 ~ Pumpkins !! 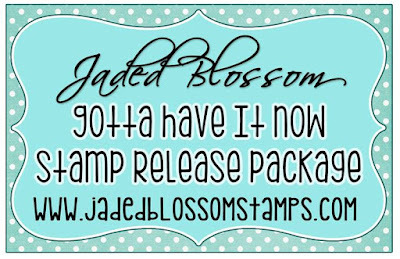 YAY It is the Jaded Blossom Release Week Day 1 ! 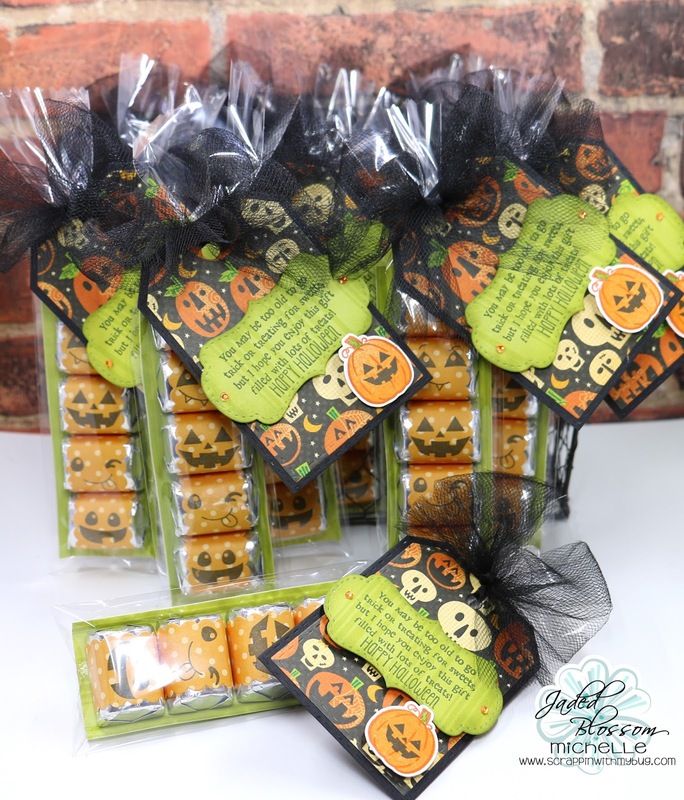 Since its our Halloween Release I wanted to get a jump on teacher and staff treats !!! 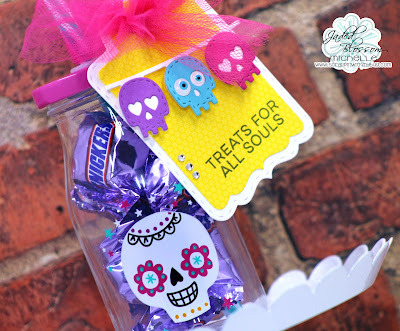 SO whats better than chocolate? 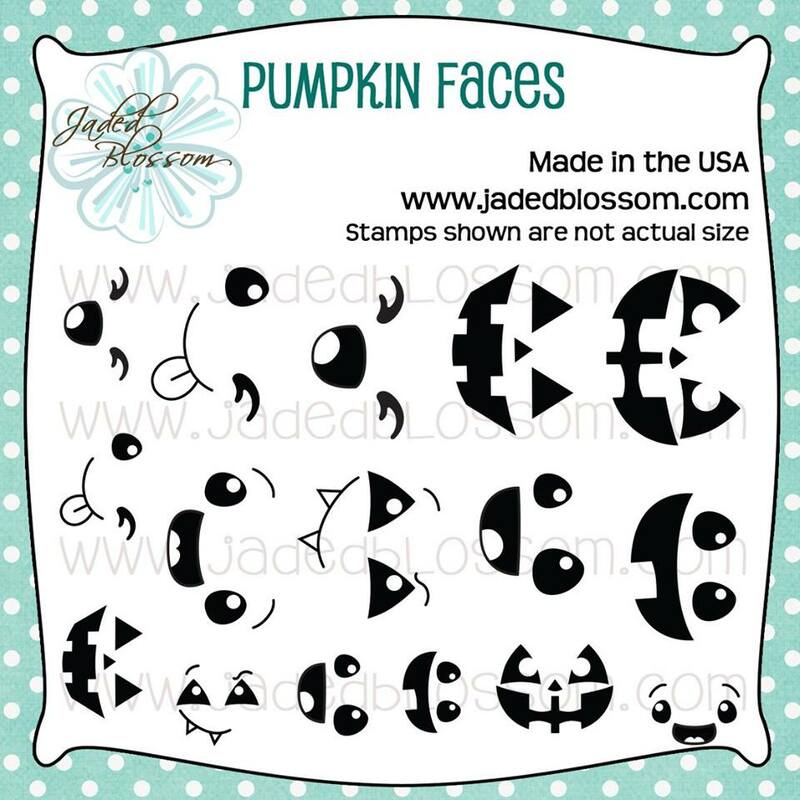 I used orange paper to represent a pumpkin with the spooky faces ! How did I create the green insert to fit the bags and nugget candy ? 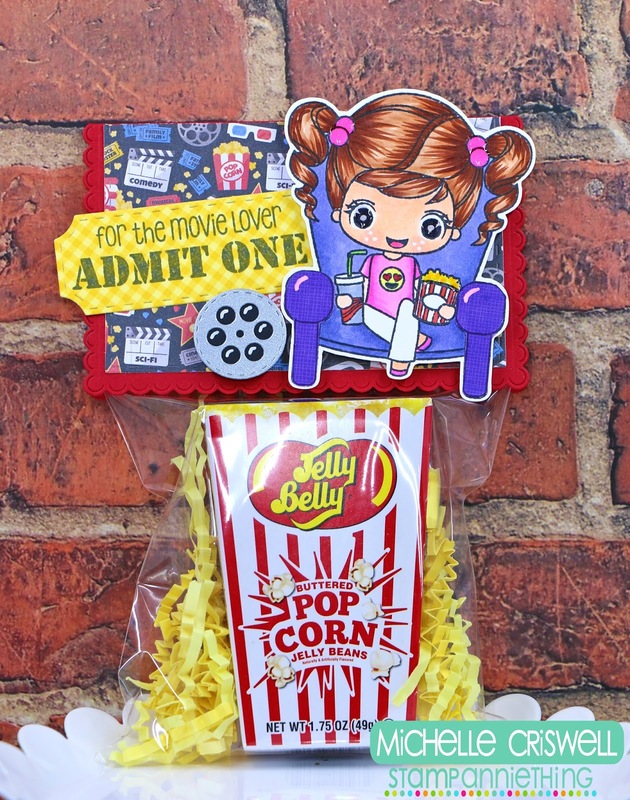 I found this cute Jelly Belly popcorn candy and thought this would be perfect!